Posted in desserts, French, recipe by Antonio Tahhan on January 14th, 2009. You can follow any responses to this entry through the RSS 2.0 feed. You can leave a response, or trackback from your own site. Pear & chocolate always a good combo, adding ginger to zing it up is brilliant. Well, nonetheless, I will try! Who knew that muffin tins were so versatile? Simply delicious. you are a genius! this looks great. i love the fact that they are minis! so no one will notice if i indulge in an extra bite! 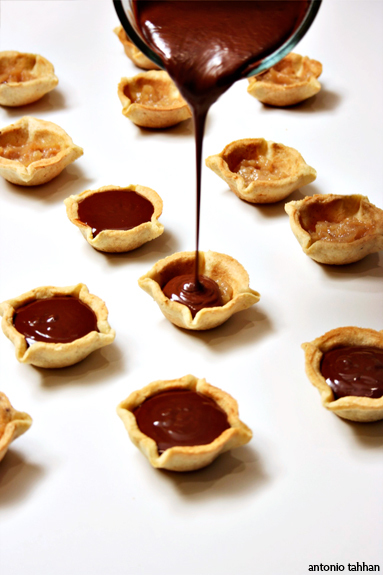 Delicious sounding tarts! 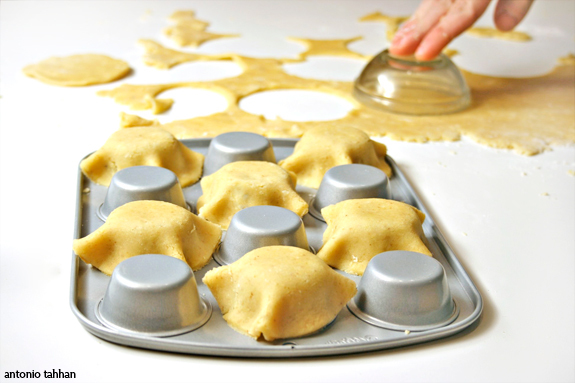 And love how you’ve used the mini muffin tins to make the shell…genius!!! Absolutely stunning Tony! The flavour combination is a real winner! Mmmmmmm que rico! Magnífico!!!! Look at all those little cutties! I love it Tony♥. Great combo of ingredients. 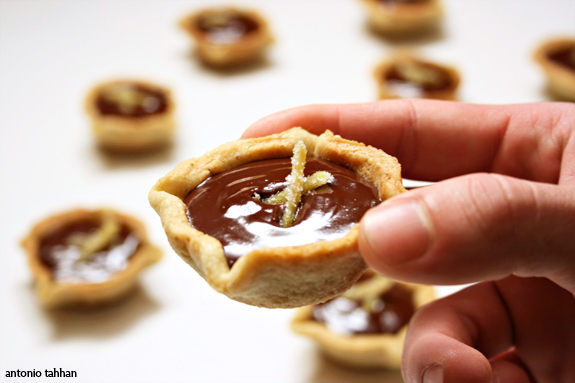 Aren’t this beautiful mini tarts BIG?… they jump out of the screen :D. On top of that, you make things look so easy! 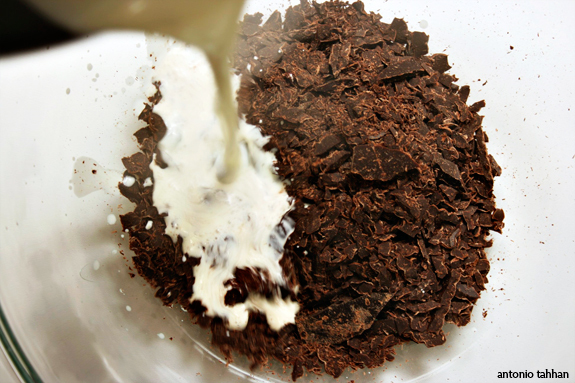 I love your step by step recipes, easy to follow with always delicious results…Encore! I love the way you shaped the crusts! Such a small thing makes a huge difference in the presentation. Oh my! Lot’s of work but looks so insane. I love everything you make. These look wonderfully decadent! 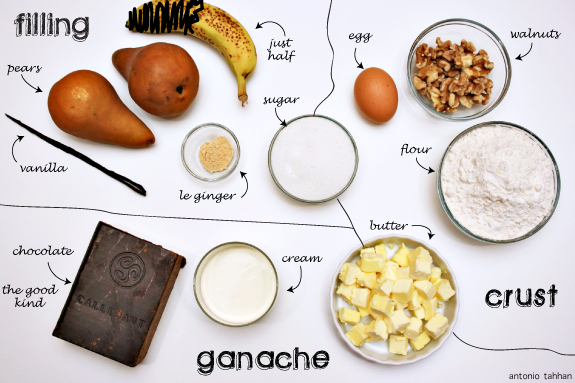 I will definitely be giving your walnut tart dough a try. I can’t tell you just how gorgeous these look. Banana, chocolate, and pears are some of my favorite flavors so I imagine this would be glorious! This looks great. I really like the walnut dough. I love the idea of walnuts in the dough – a perfect combination with chocolate, bananas, and pears! Inspired! Can’t wait to try – thank you! These look incredible, and perfect for a party. I can’t wait to try these out. Thanks! What inspiration Tony…wow! Ithink the mini muffin turnovers is a great diea…thanks. Yup, I think I’ll skip the banana too. The roasted pear, ginger & ganache are indulgent beyond belief! Perfect! I have to say, your blog is inspirational. 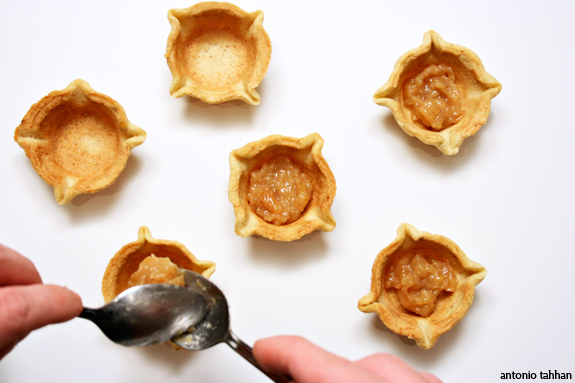 From the inventive mise en place pictures to the creation of the tart cups (that’s literally thinking outside of the box! 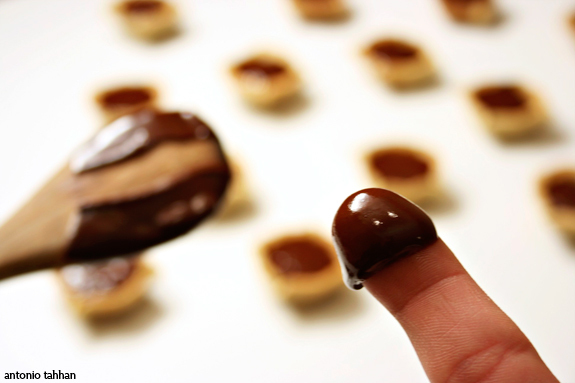 ), to that last yummy pic of your chocolate-covered finger. OMG I love your method! it looks wonderful! I’m bookmarking this!